Love, love, love avocados. The trick is finding the right ripeness - not too hard, but never squishy. 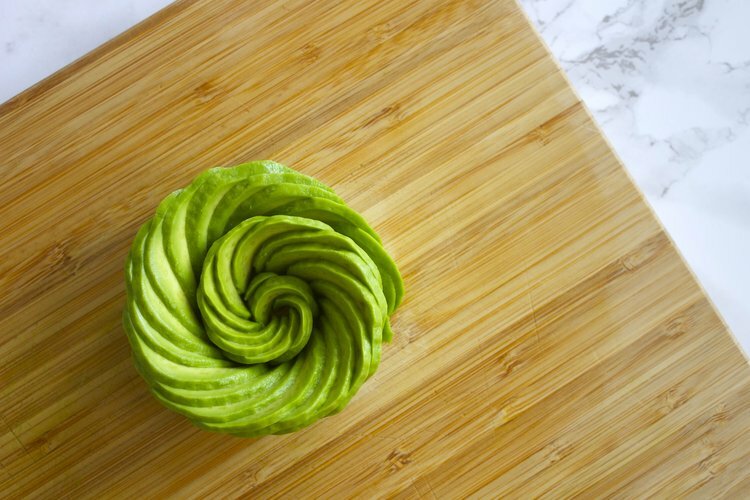 Press gently on the outside of the avocado with your thumb. It should give just slightly. See the instructions below to check by the "belly button". I prefer the thumb test.